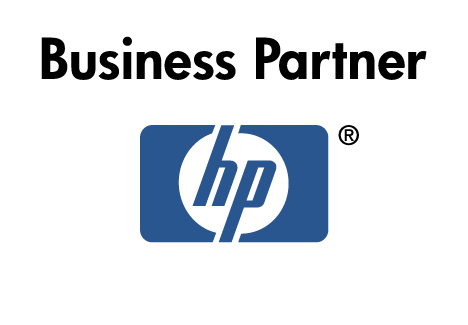 HP is a technology solutions provider to businesses and institutions globally. The company's offerings span IT infrastructure, personal computing and access devices, global services and imaging and printing for consumers, enterprises and small and medium businesses. 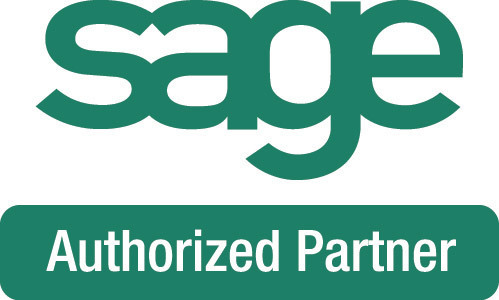 Sage ERP Accpac combines functional areas of your business - CRM, HR, business intelligence - into an integrated system, streamlining operations and enhancing insight into key metrics. With robust financial accountability and compliance capabilities, Sage ERP Accpac evolves to changing conditions, supports growth, and allows you to thrive in a global business environment. SageCRM is an easy-to-use, on-demand or on-premise CRM solution that equips sales, marketing, and customer service teams with the tools to find new customers, close sales more quickly, and build lasting, more profitable relationships. Out of the box it delivers tight integration with leading Sage ERP applications, connecting your front and back office and providing insight into business-wide performance. On-site or on demand? You decide. CommissionCalc software eliminates the time-consuming task of calculating, checking and correcting commissions manually, even for plans which seem impossibly complex. It saves time and ensures accuracy, thereby increasing efficiency and supercharging salesperson motivation while preventing costly overpayments. It's a commission calculator for plans that have unique rules based on many factors; those with lots of exceptions; quotas and tiers; rebates; royalties; payments to multiple recipients on a single invoice; and more. It will create commission reports exactly as you want them, no matter what your rules are. Unitrends is a leading provider of innovative, integrated solutions that protect and restore critical data and systems. Unitrends' family of disk-to-disk (D2D) backup appliances provides unmatched protection and rapid recovery of lost systems, applications and data as well as true disaster recovery protection. The company's Data Protection Units (DPUs) for local backups and Data Protection Vaults (DPVs) for off-site data vaulting eliminate the need for multi-vendor software and hardware, and deliver an integrated solution that is affordable for small- and medium-sized enterprises. The Self-Defending Network provides a logical platform to evolve to advanced security services, improving the value of your security investment over time. Protect your organization by identifying, preventing and adapting to threats from both internal and external sources. The intelligence of the Cisco network resources can improve your security efforts through three core characteristics: integration, collaboration, and adaptation. The Cisco Unified Communications Solution is made up of an industry-leading set of voice and data networking products, services, and finance options designed specifically to meet the unique needs of small and medium-sized organizations. The Cisco Unified Wireless Network solution delivers the industry's best wireless LAN security, innovation, and investment protection and supports real-time business-critical applications and creates a secure, mobile, interactive workplace for organizations deploying WLANs. Cisco Network Systems, comprised of Cisco routers, switches, and network management software, are the foundation for the digital infrastructure of your business. Together, these Cisco solutions create an intelligent integrated network that meets your current needs and grows with your business. . Managed services gives you access to leading network technologies and management expertise - without requiring high initial capital expenditures or ongoing investments in technology upgrades. You put the best Cisco technologies to work for you-with EMF Inc. managing the network equipment and applications for you on your premises. Centralization, optimization and virtualization have been the focus of Citrix product innovation, strategic acquisitions, go-to-market partnerships, and talent development for over twenty years. The vision – a world where anyone can work and play from anywhere. The Citrix family of products and services centralize, virtualize and minimize the complexity of traditional computing – significantly reducing costs, improving information security, mobilizing people, and delivering enterprise agility. Citrix desktop, application, and server virtualizations, application networking, cloud computing and ‘Software as a Service’ offerings radically simplify computing for millions of users, delivering applications as an on-demand service to any user, in any location on any device. Microsoft Small Business Specialists are partners who meet the needs of their small business customers with high-quality solutions built on Microsoft technologies. A Small Business Specialist configures solutions according to customer requirements and supports the solutions to ensure customer satisfaction. Novell’s vision is to create software solutions that bring all kinds of networks - intranets, extranet, and the internet; corporate and private; wired to wireless - together as one Net. To achieve that vision, Novell is focused on developing Net services software that secures and powers the networked world. This software - along with industry-leading consulting and support services - helps Novell customers solve difficult business challenges and gives them the networking tools and expertise they need to take advantage of new business opportunities. Why Choose SUSE? More than 13,000 businesses worldwide use SUSE Linux Enterprise Server because it is a future-proof platform you can use today. The SCO Group, Inc. was founded on a single, powerful concept: to combine the power and capabilities of the UNIX® System with the economics of the Intel platform. Today, SCO has expanded its product line to include infrastructure products, such as SCO Office Mail Server and SCO Authentication Server. SCO's primary business is still UNIX and its primary commitment is to continue to enrich the UNIX platforms to deliver more power, more versatility and more value to small and medium business. SCO's UNIX platforms deliver the reliability, scalability and high performance that is synonymous with the UNIX system, but at a fraction of the cost of proprietary RISC-based UNIX systems. Computhink provides feature-rich Integrated Document Management/Image Enabling Solutions. Computhink has years of experience providing Document Management, Imaging, Workflow, and Forms Recongition Solutions to Federal, State, and Local Government Sectors. Read more..
With BlackBerry® Enterprise Server software, your employees can access their Microsoft® Exchange, IBM® Lotus® Domino® or Novell® GroupWise® email on-the-go on a BlackBerry smartphone. They’ll also have access to calendar, contacts, tasks, notes, instant messaging, web-based and enterprise applications. BlackBerry Enterprise Server software is the link between BlackBerry smartphones, enterprise applications and wireless networks that extends communications and corporate data to your mobile users.